Gamestop will be hosting events giving away the three legendary dogs, SHINY. All three digs have different dates, which i will be listing soon. 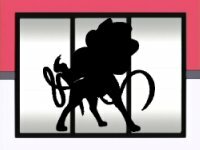 Anyway, If you transfer one of these dogs to a Pokemon Black Version or to a Pokemon White Version, you will unlock Illusion Forrest. In Illusion Forrest you will be able to awaken and capture ZOROARK. 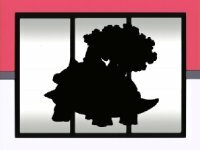 ZOROARK will be disguised as one of the legendary dogs. It will depend on what Pokemon you send over to know what ZOROARK will look like. If you trade over Raikou, you will see Entei. If you trade over Entei, you will see Suicune. If you trade over Suicune, you will see Raikou. Now your probably wanting the date of the Pokemon Events, So here they are. From January 3rd to January 9th, you can get a Shiny Raikou. From January 17th to January 23rd, you can get Shiny Entei. From January 31st to February 6th, you can get a Shiny Suicune. I hope you found this information useful. Good luck and have fun with your new Pokemon!